Cities and Sustainability: Is Intensification Good Policy? This post examines the idea that we can promote sustainability by increasing the densities of large cities around their centres. This compact city paradigm presumes that we can reshape the consumption of citizens in environmentally benign ways by reshaping the cities they live in. The sustainability challenge is the challenge of consumption: how much and what we consume drives our impact on the planet. But presuming that by enforcing urban intensification we will transform ingrained patterns of consumption in favour of the environment may be a step too far. Will obliging more citizens to live at higher densities in smaller dwellings around city centres really pave the way to environmental salvation? The Australian Conservation Foundation is committed to ecological sustainability, tackling the social and economic causes of environmental problems. Among other things, the Foundation publishes the onlineAustralian Consumption Atlas. This is a useful source for addressing the role of urbanisation and urban form. The Atlas is based on methodology which traces the direct and indirect demands on the environment of different goods and services. Consumption patterns from Household Expenditure Surveys are related to household size and type, members’ age structure, incomes and education, and the statistical areas they live in. Using this information the environmental impacts of individuals living in different areas can be mapped. Three indicators of impact are displayed in the atlas: tonnes of greenhouse gas emitted, litres of water consumed, and ecological footprint. The latter estimates the area of resources required to support a person’s lifestyle. You can read more about the methodology here. The data underlying the atlas is dated – based on the 2001 Census and 1999 Household Expenditure Survey, among other things. But I do not expect the relativities it demonstrates, or the conclusions it supports, to have changed much. 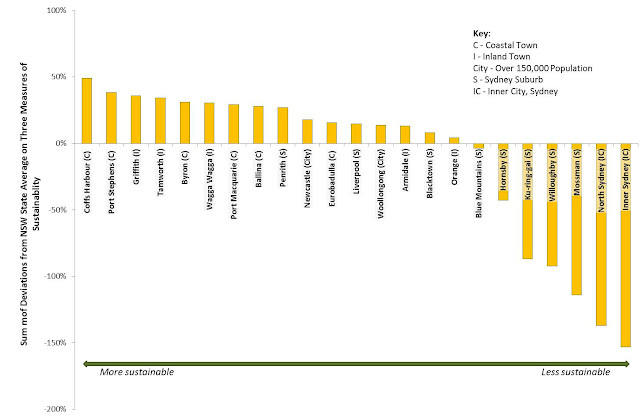 despite the lower environmental impacts associated with less car use, inner city households outstrip the rest of Australia in every other category of consumption. Even in the area of housing, the opportunities for relatively efficient, compact living appear to be overwhelmed by the energy and water demands of modern urban living, such as air conditioning, spa baths, down lighting and luxury electronics and appliances, as well as by a higher proportion of individuals living alone or in small households. In each state and territory, the centre of the capital city is the area with the highest environmental impacts, followed by the inner suburban areas. Rural and regional areas tend to have noticeably lower levels of consumption. I explored the indicators for different parts of Sydney. Here are some results. 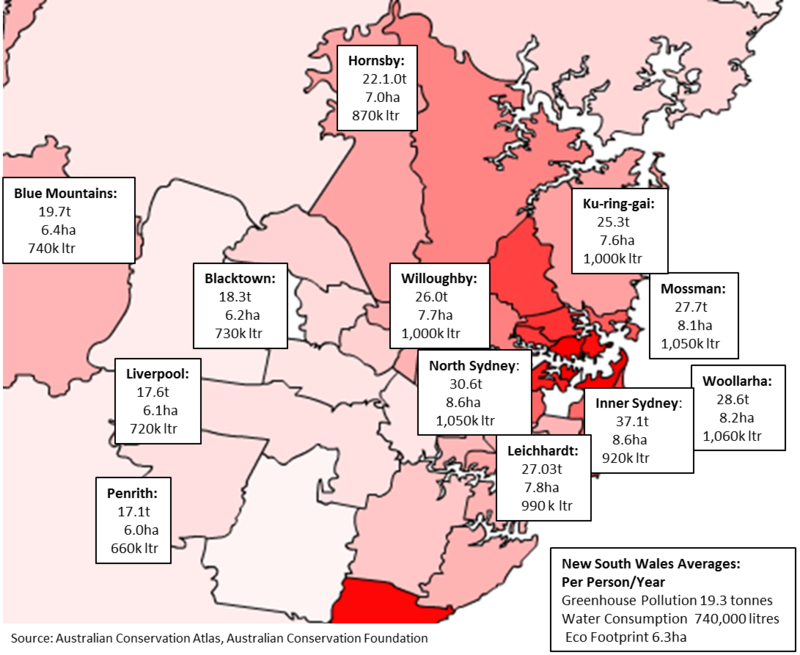 People in Inner Sydney generate 92% more greenhouse gas than the New South Wales Average, and well over twice as much as people in the lower income western suburbs, like Penrith and Blacktown. The levels are a bit higher for people in the more prosperous northern suburbs. 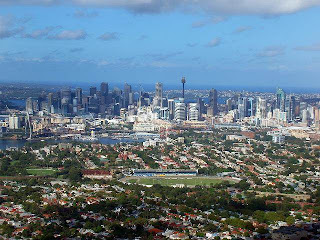 Despite proximity to major employment centres, and an efficient commuter rail service, the consumption patterns of Willoughby and Ku-ring-gai residents generate high levels of air pollution. 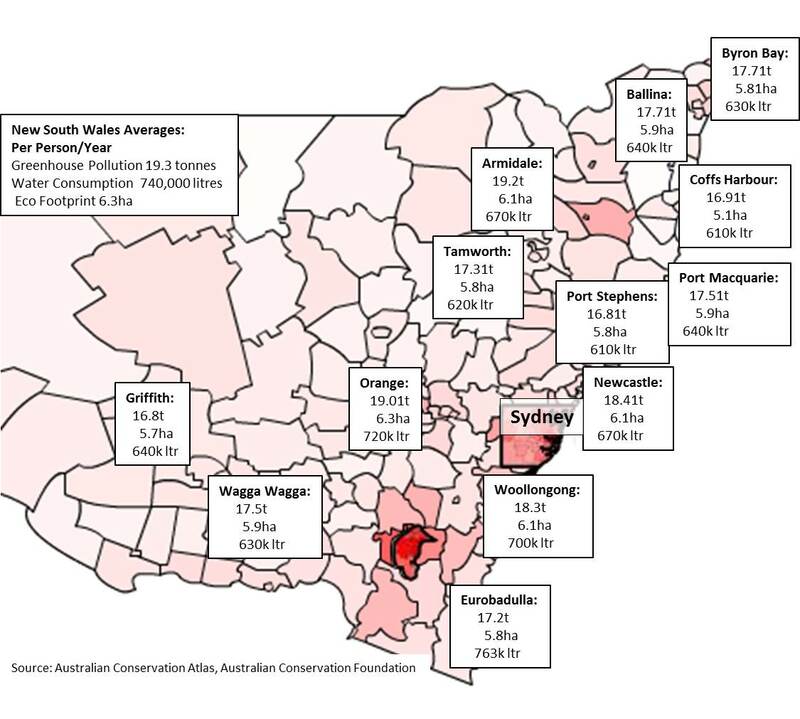 A similar pattern is evident for water consumption – residents of the hot, dry, western suburbs account for the least consumption, Inner and North Sydney residents the most. They also have the biggest ecological footprint. The lesson is not necessarily that location in the CBD is less sustainable; but that the lifestyle associated with it is. I have discussed the potential inefficiency of small, multi-unit dwellings elsewhere. Over and above that, the high cost of redevelopment in central locations calls for housing construction strategies that add little to sustainability. One strategy is to build to modest standards. This keeps the price down and rental yield up for investors; or creates opportunities for ownership by low income earners. Another strategy is to adopt high standards of fit-out and install luxury appliances in favoured locations to make multi-unit dwellings attractive to wealthier households. Neither option is particularly environmentally sympathetic. I also reviewed the indicators for smaller cities and towns in New South Wales. (In some cases these included surrounding rural settlement). This suggests that smaller towns hold the key to environmentally sustainable lifestyles, even more than city suburbs. For example, Coffs Harbour's 73,000 residents generate greenhouse emissions at 88% of the state average, and just 46% of inner Sydney residents. 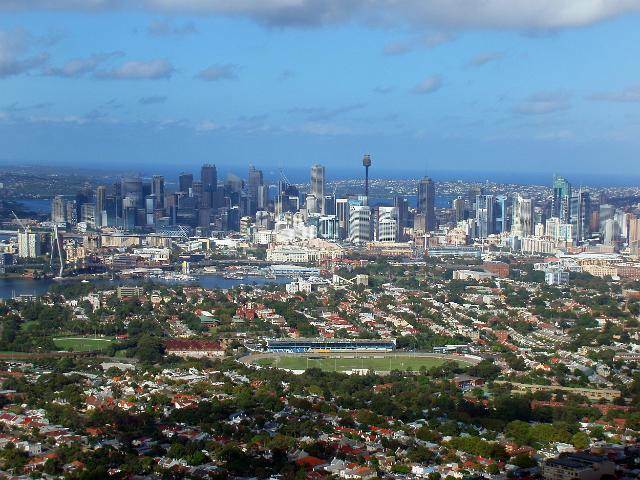 They consume water at 81% of the State rate (and 60% of North Sydney), and have an ecological footprint just 60% of their inner Sydney counterparts. Similar patterns are evident in coastal settlements like Byron Bay (33,000 residents), Ballina (42,000), and Port Macquarie (77,000) and inland towns such as Griffith (26,000), Tamworth (60,000), and Wagga Wagga (64,000). 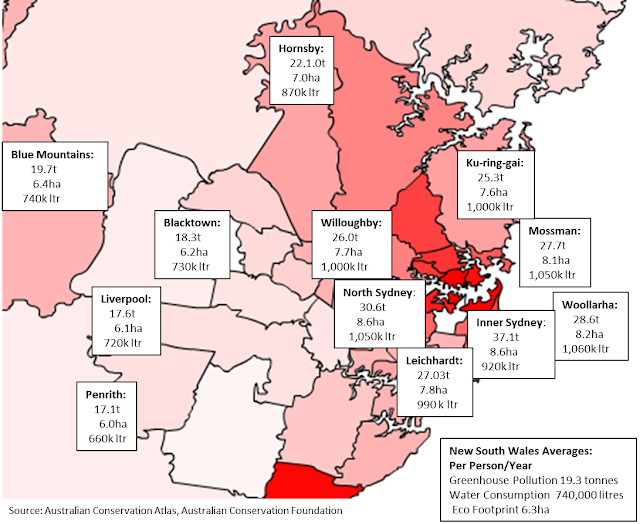 A simple overview can be derived by summing the percentage deviations of each area from the New South Wales average across the three measures. Admittedly this is a course approach: it weights each indicator equally, and ignores differences in how much centres vary across each individually. Nevertheless, it provides a sufficiently meaningful overview to confirm that towns and small cities are generally more sustainable than a large city, and that the suburbs perform better than the inner city. There can be any number of explanations for this, the obvious one being that it is all about income. Perhaps the advantages of lifestyles outside Sydney simply reflect lower average incomes in smaller cities and towns. As people become more affluent or seek more income, they migrate into the main cities taking their high consumption expectations with them; or by living in large cities they are more likely to earn - and consume - more. Conversely, living in smaller cities and settlements may reflect lifestyle preferences which are intrinsically less environmentally intrusive. At the same time. small settlements make less travel demands given the greater proximity to work, shopping, service, and recreation opportunities. In addition, lower density housing may provide more opportunities for passive energy efficiency, directly reducing resource consumption for comparable activities. Until we know more, however, we need to avoid the trap of determinism. It would be short-sighted simply to invert the current paradigm, for example, and decide that policies to encourage people to live outside large cities and city centres will somehow enhance sustainability. Phil McDermott is a Director of CityScope Consultants in Auckland, New Zealand, and Adjunct Professor of Regional and Urban Development at Auckland University of Technology. He works in urban, economic and transport development throughout New Zealand and in Australia, Asia, and the Pacific. He was formerly Head of the School of Resource and Environmental Planning at Massey University and General Manager of the Centre for Asia Pacific Aviation in Sydney. This piece originally appeared at is blog: Cities Matter. 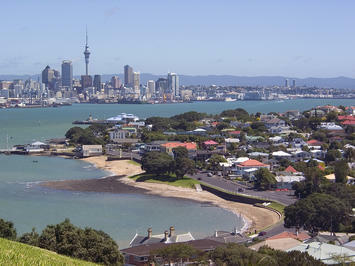 Aukland harbour photo by Bigstockphoto.com. Cities, Cars, People: Is Changing Car Use a Function of New Urbanism? Are 20th Century Models Relevant to 21st Century Urbanization?